"In this exciting, new era of gravitational wave astronomy, we don't know what we'll find, or where it will lead us," says Joseph Fedrow of Kyoto University's Yukawa Institute for Theoretical Physics. "But our work here will help to illuminate untrodden paths, and shine a light upon the darkest of objects in the universe." Far from earth, two black holes orbit around each other propagating waves that bend time and space. The existence of such waves — gravitational waves — was first predicted by Albert Einstein over a century ago on the basis of his theory of general relativity. And as always: Einstein was right. But it took until 2015 for the Laser Interferometer Gravitational-Wave Observatory to detect gravitational waves for the first time: findings which earned the LIGO team the Nobel Prize in physics two years later. In addition to the shockwave this discovery sent across the scientific community, it also gave researchers the new field of gravitational wave astronomy. But as with many discoveries, for every mystery solved, new questions have arisen. In addition to shedding light on the dynamics of binary black holes, new results reaffirm that the first waves detected by LIGO came from black holes in an empty region of space. 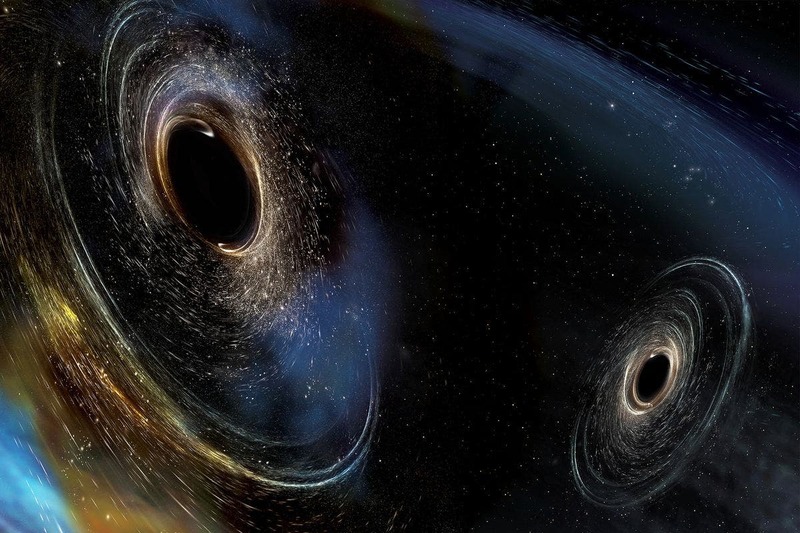 One such new puzzle: how did those gravitational wave-inducing black holes originate? Writing in the journal Physical Review Letters, Fedrow — in collaboration with the International Research Unit for Advanced Future Studies — has determined what gravitational waves might look like if two black holes formed inside a massive, collapsing star. "Although gravitational waves have allowed us to directly detect black holes for the first time, we still don't know the exact origins of these particular black holes," explains Fedrow. "One idea is that these black holes formed during dynamical fragmentation of the inner core of a dying star undergoing gravitational collapse." This, according to Fedrow, could have resulted in two of the fragments becoming black holes and orbiting around each other in the remains of the stellar environment. 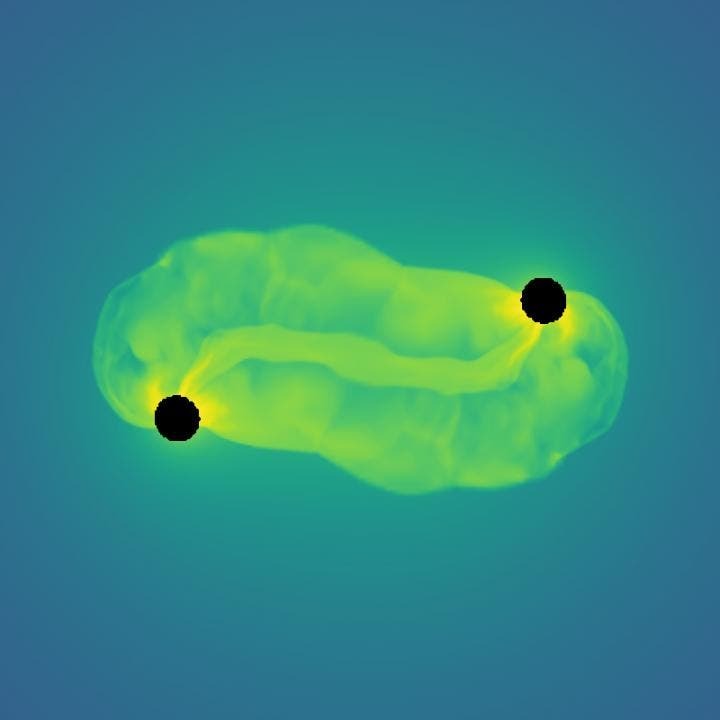 To test this proposal, the team used supercomputers and the tools of numerical relativity to create a model of two black holes in such surroundings. And after many long hours of computation, the output was compared against LIGO's observational data. "Our results were measurably different," continues Fedrow, "showing that if black holes formed in a high-density, stellar environment, then the time it takes for them to merge shortens. If the density is lowered to levels more similar to vacuum, then the resulting gravitational waves match those of the event observed."